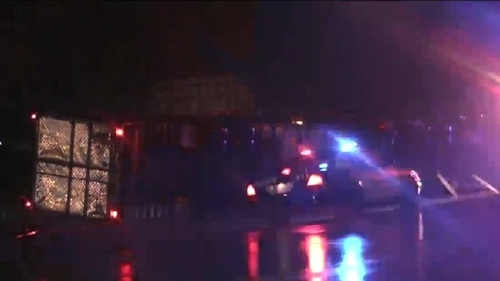 A deadly storm system began its decent on the Southern Plains Tuesday and claimed the life of an Oklahoma truck driver. 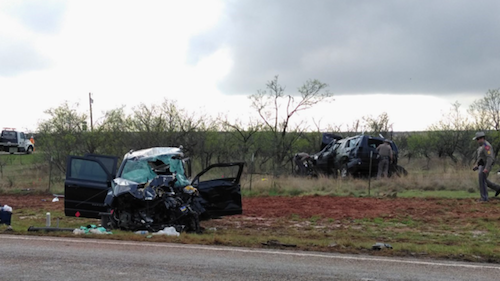 In Texas, three storm chasers were also killed in head-on collision that occurred while in pursuit of a tornado. 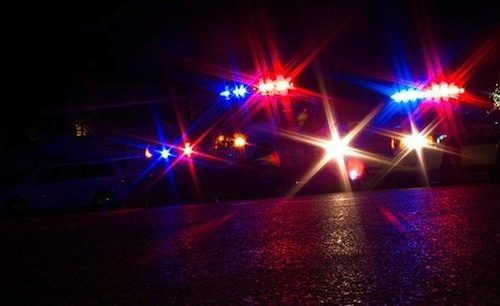 According to the Oklahoma Highway Patrol, the deadly semi-truck crash was reported shortly after 9 p.m. on Tuesday evening and occurred on I-40 just east of US highway 81 near El Reno. The truck driver, whose name has not yet been released, was driving a 2007 Volvo tractor and heading eastbound on I-40. The semi was pushed off the road by a 95mph high wind gust and then veered left, crashing into the cable barrier. The force of the impact then caused the truck to roll before coming to rest on its driver side. Tragically, the driver was partially ejected through the window and was left pinned under the truck for about an hour before El Reno firefighters were finally able to free him. The driver was pronounced dead at the scene and troopers said he was not wearing a seat belt when the accident occurred. The severe weather also hit Texas, leaving nearly 70,000 residents without electricity and causing more than 15 tornadoes across the state. On Tuesday, three storm chasers were killed in a head-on collision while on the job, tracking tornadoes in the Texas Panhandle region. Kelley Williamson, 57, and Randall Yarnall, 55, both worked as contractors for The Weather Channel and were in pursuit of the storm when they were struck by a second vehicle, driven by storm chaser, Corbin Lee Jaeger, 25. All three men were killed instantly. On Wednesday morning, a tornado struck an apartment complex in southwestern Houston causing damage to carports, windows and roofs. At around 3:30 p.m., the high winds dropped an entire shipping container on a truck at the Barbours Cut container port located about 20 miles east of Houston. A Port of Houston spokesperson said 2 people were injured and a total of 20 shipping containers were scattered by the high winds. The Storm Prediction Center in Norman, Oklahoma, issued a warning for the entire area stretching from Louisiana to central Missouri and all of Arkansas. Residents and motorists were cautioned about the potential for very large hail, strong tornadoes and powerful winds throughout Wednesday and Thursday. Forecasters say the storm risk will increase on Thursday as the weather system moves into Tennessee and Mississippi. They also expect "an active severe weather event" on Thursday for parts of Mississippi, Alabama, Tennessee and Kentucky.